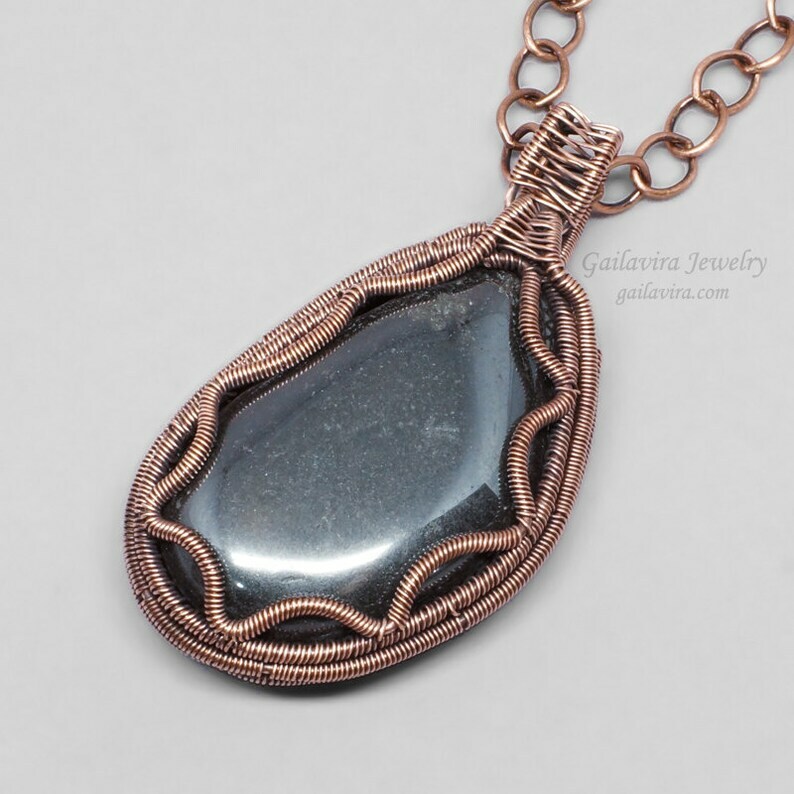 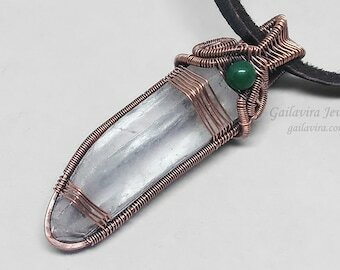 A metallic gray Hematite tumbled stone, wrapped in darkened coiled copper, hangs from a copper colored chain. 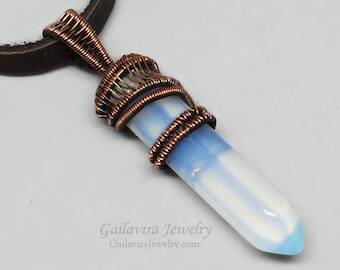 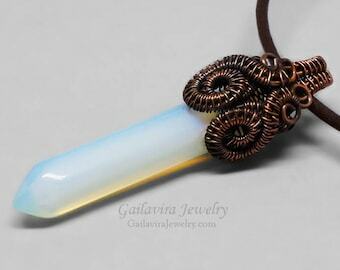 Pendant is approximately 1 1/8" (28mm) wide and 2" (51mm) long. 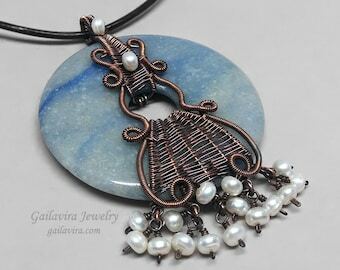 Chain is approximately 20" (50cm) long, however, the clasp can be inserted into any link on the chain, making it adjustable.